...The criticism of religion disillusions man, so that he will think, act, and fashion his reality like a man who has discarded his illusions and regained his senses, so that he will move around himself as his own true Sun. Religion is only the illusory Sun which revolves around man as long as he does not revolve around himself. As the title of this experimental ethnography suggests, this project asks the viewer to consider what television cannot say... indeed, what television makers are unable to say. Tim Tebow, arguably the most recognized football player in U.S. collegiate sports history. But this is far from the entire story. For, in return, Tim asks us to also consider yet another subtext. 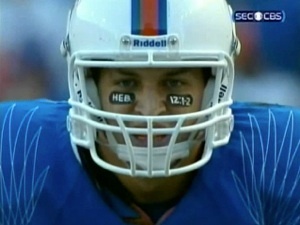 During games, Tebow wears eye patches that he regularly inscribes with biblical references; in this instance from the Book of Hebrews 12, verses 1 and 2. In this final home game, Tebow is well aware of the national TV exposure his message carries and communicates. He openly proselytizes his Christian faith on his face, as public acknowledgement of his faith. This, of course, is not new. Others have done as much in other venues. What did, however, strike me as important is the way TV so eagerly and explicitly helps Tebow broadcast this message. The final fifteen minutes of the game are in effect a celebration of Tebow’s cult-of-personality and his cult-of-religion. Tebow’s name is invoked in almost every sentence of broadcast narration. Both his family and their beliefs are repeatedly showcased. Announcers (mistakenly) read on-air his selected bible passages, correct their mistake and read more still. Tebow is held up as a singular model, an exemplar, of all that must be represented during this event. And Tebow reciprocates, ensuring Christian God is a co-pilot to every reference and visual close-up. ...NOW.... consider this. What if Tim Tebow had inscribed something else on his eye patches? What if witchcraft pentagrams had been inscribed instead? Or maybe an anti-semitic slogan, or muslim symbol? Or a corporate logo? Or his personal twitter hashtag, or website address? Or simply the words “Karl Marx”? What would be the reaction of Tebow’s teammates, the fans, the announcers, or CBS? Would there be continuous close-up shots of Tebow’s face? Would network staffers quickly ‘google’ quotes from Karl Marx for the announcers to read aloud? Could TV unquestioningly produce these alternative subtext stories, too? Would we allow our TV to do so? No. Television by its very nature can only tell certain kinds of stories, because we humans make our TV that way. Sponsorship allows only particular narratives. 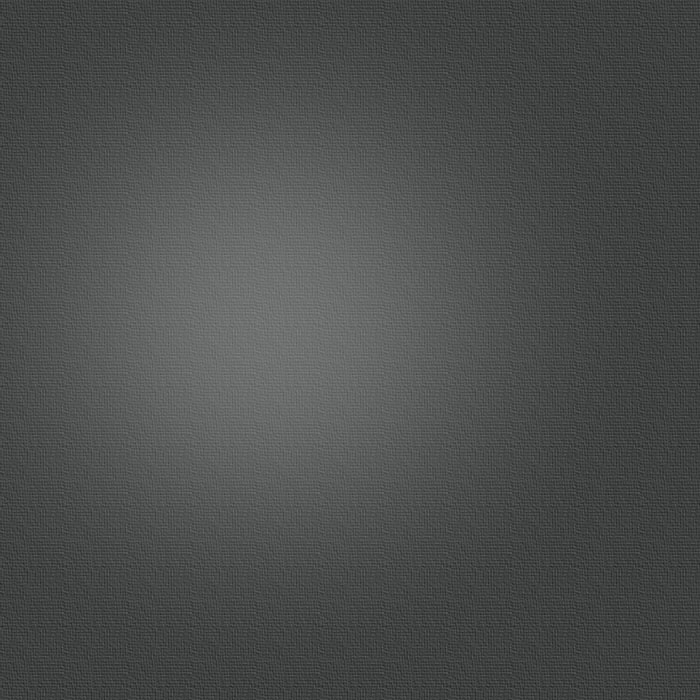 Technological production can only make particular kinds of pictures. Fans and viewers will most likely only swallow heros who are constructed in particular flavors, through particular means. Money, power and ratings flow towards particular viral memes that adhere to particular regularities, to agendas. But there is no exact formula. For instance, we love to love “Pilot Sully’s” heroics in the Hudson RIver as much as we love to hate Tiger Woods’ sexual infidelities. Lady Gaga could provocatively wear a Bible verse on TV to agitate for fame, but Sinead O’Conner must never rip a photo of the Pope.... at least until that is proven to be commercially effective. Basketball player, Dennis Rodman is remembered as the first to narcissistically tattoo his entire body to agitate for lucrative TV recognition... but we’ve long forgotten Smith and Carlos’ political visual-protest witnessed globally from Mexico City in 1968. TV voraciously consumes, prioritizes, and then regurgitates certain kinds of stories over others. Imagine if President Obama had actually run his campaign as a Muslim on TV? It is as impossible as imagining an over-weight, unattractive socialist with a lisp as president. It is as impossible as imagining “Karl Marx” eye patches. American television makers are both unwilling and unable to tell certain stories. On the other hand, Tim Tebow’s story is perfectly delicious to the very idea of TV. People just like us (actors, producers, and audience) make it this way. Thus, in this video, I simply ‘photoshopped’ Tebow’s eye patches, and then I overlaid the actual late-game broadcast alongside typical TV commercials randomly ordered. Why? For contemplation, because all three videos parts combine to tell very similar stories. Marketing, consumption, celebrity, technology, religion, etc., all eagerly conflate and conspire within the production of television. And the better our stories align themselves to TV’s construct, the easier these stories tell themselves to us. Tebow’s technique and agenda are a perfect fit for broadcast television. Maybe critical media ethnography can help us to see our own doings. Maybe not. At bottom, other stories, those counter to this tacit agenda, can never be told. Indeed, some stories simply are unable to be told on TV. We can’t allow them to be made. Sorry, Karl.